George Barris Super Stocker Tribute bike. 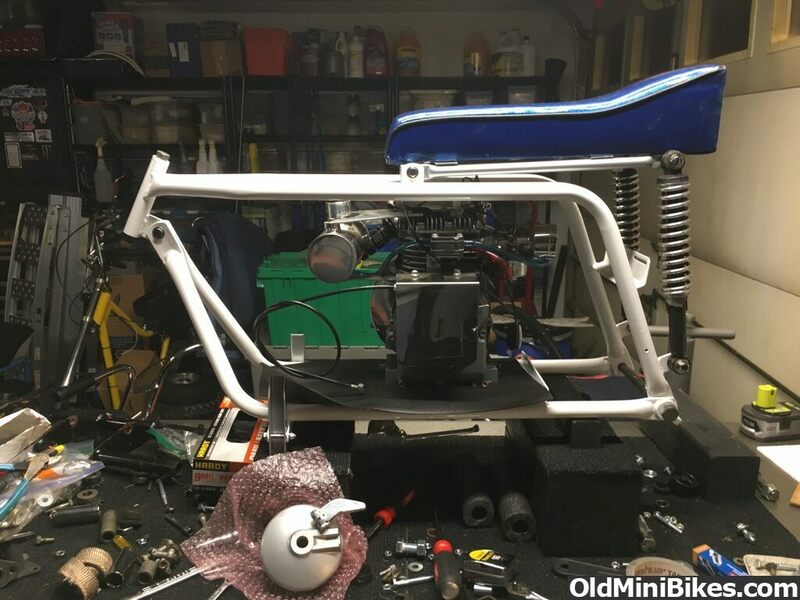 We are building a George Barris Tribute bike to use as a rider for Windber 2017. This is 1 of 11 George Barris bikes in our collection. 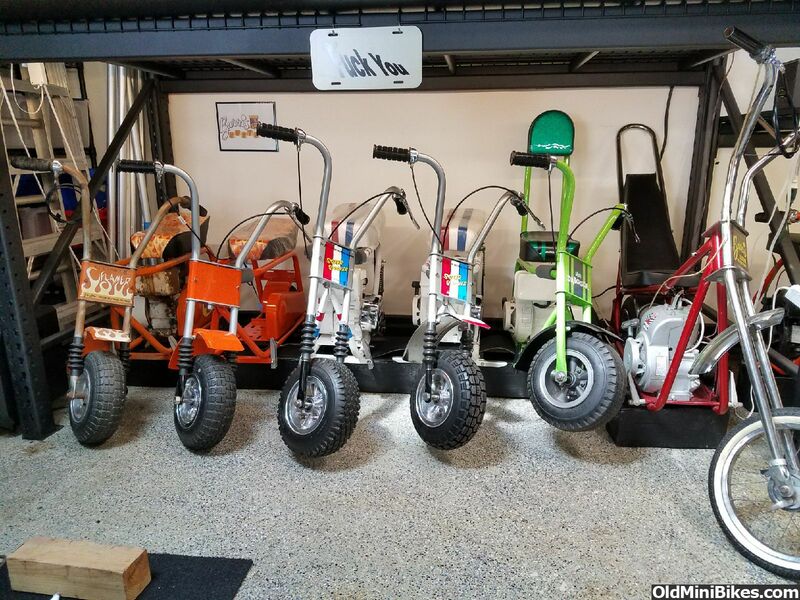 BIG Thanks to everyone who has helped us acquire the Barris mini bikes and parts lots over the past 2 years. It is a true Barris Super Stocker with the BBT twist. The twist: 5 HP plus chrome Briggs engine. White powder coated wheels with polished bead and chrome studs with acorn nuts. Blue flake old school vinyl seat. Very nice collection you have there. Hello I'm Bob in LA area. 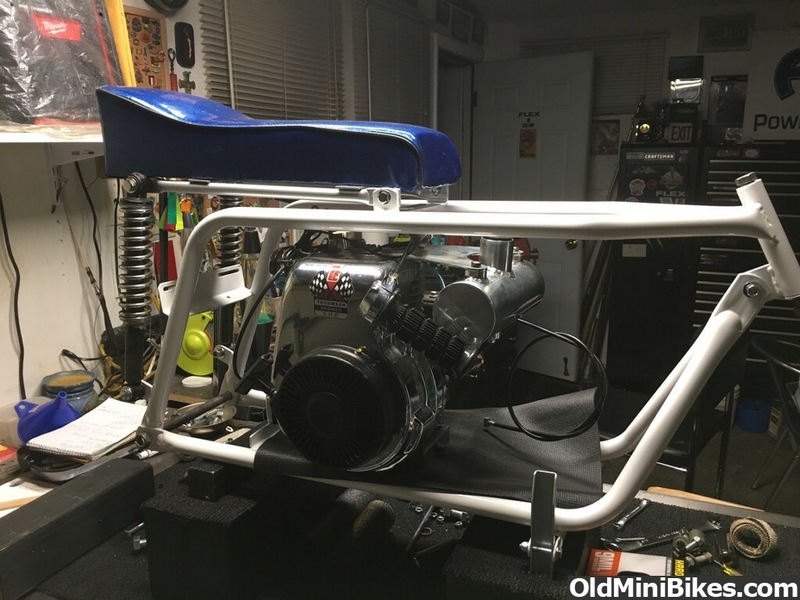 I purchased an old super stocker mini bike but it came with a 2 HP briggs. Do you know anyone that's selling a close to period correct Tecumseh engine. I'm finished with powder coat and chroming. It looked OK but I got after to make it "shiny" should of kept patina. Can you help with an engine contact?